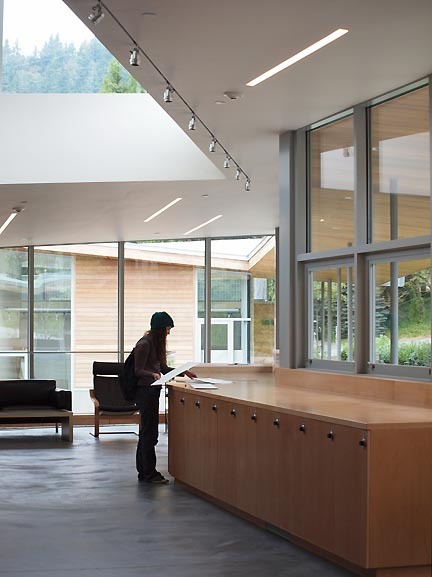 There is some incredibly sad news as the Oregon College of Arts and Craft's board of Trustees has voted to cease academic instruction after the final graduating class of 2019. This is an incredibly painful outcome after a seemingly short death spiral that began publicly last summer. Recently, OCAC's board has explored mergers with PNCA and PSU but I never saw those as viable since each school has such a different culture and yet the same underlying weaknesses that all higher education faces today. They needed a new model but could not find one, perhaps simply not being up to that kind of visioning task or perceived risk? Since last Fall OCAC's governing body appeared to be a board that simply wanted another institution to partner in fixing fundamentals at a time when the fundamentals for all higher education are broken. I could liken this situation in higher education to the lifeboats of the Titanic or a hospital patient given a grim prognosis... there are no easy answers but many in the scene still want to fight to save OCAC. In today's statement OCAC's board essentially claim they have run out options and with an interim president the vision gap here was pronounced. I'm seeing immense anger and sadness from many of the arts community regarding this outcome, as well as frustration with the short timeline. Mostly the anger comes from a sense that the board never gave the community a chance to rally and save the school. Those emotions are to be expected but are also energies that can lead to new options and perhaps a better outcome? Just last summer the Art Gym, its major funder and the Oregon State Attorney General were all behind that exhibition program moving to the college and it could have galvanized a fundraising effort. Then it seems something spooked the board and Denise Mullen, its long time president left OCAC. At that point the board has been pursuing a policy of finding a merger partner, which dispels most of my worries that this was just a real estate land grab. The merger was not a terrible idea but it robbed the institution of momentum and locked them into that path. Can OCAC be reborn with some vision? Possibly and I hope that something rises from this colossal loss. Something small and tight knit like the original crafts club that lead to the college in 1996. Let's remember the loss of the PCVA lead to the creation of PICA via PAM's art on the edge program. Ultimately though, OCAC had the strongest niche identity of all the art schools in the Pacific Northwest, being craft based... many of those skills being very in demand and employable. I'd like to see something rise to take its place, does it even have to be a degree program? Also, where is City Council (OCAC is not in Beaverton) on this with their arts advocacy? OCAC is a pillar of the arts ecology. From what Im hearing from the arts community they dont seem to want to just accept this. Like Ive been saying all along, Portland isn't going to let these things happen without a fight... the community wants to fight for what it values and not being given a chance to do so is not sitting well. There is so much anguish over this, OCAC was one of the most practical of places of learning so what does it say of our times?